2005 Lifetime Achievement Award Paul Michel Bosc Sr.
Paul Bosc’s achievements as an award-winning winemaker, research pioneer and industry builder have earned him an international reputation. Paul Bosc, President and founder of Château des Charmes, was born in French Algeria, where his ancestors had migrated from France in the 1840s. Paul represented the fifth generation of his family born into the wine industry. He was the first member of his family to return to France to formally study the art of winemaking and viticulture. Upon completing his studies at the University of Burgundy in Dijon, he returned to French Algeria and became General Manager of one of the country’s largest and most successful co-operatives. In 1962, France granted Algeria independence after a seven-year war which motivated Paul, with his wife Andrée and son Paul André, to leave the country of his birth, losing everything. The Boscs eventually immigrated to Canada in 1963, making their way to Quebec, where their second son, Pierre-Jean, was born. In 1964, after working for Quebec’s liquor control board, Paul joined Château Gai Wines in Niagara Falls as winemaker and over a 15-year career ultimately became director of research and development. It was during this time that Paul became convinced that the Canadian wine industry had to move away from its traditional native grape source if it was going to survive. 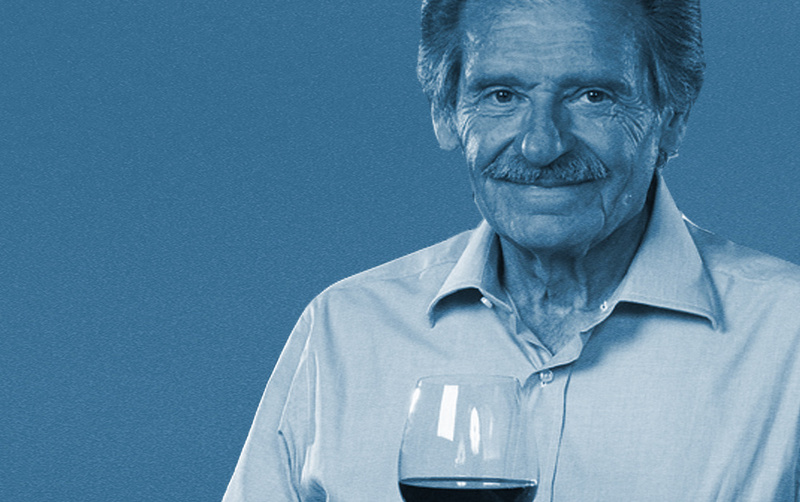 He began experimenting with classic European varieties and, by the early 1970s was producing small lots of fine wines that garnered much attention from wine writers throughout North America. By 1978, Paul was certain that the estate winery model was critical to repositioning the Canadian wine industry along quality lines and Château des Charmes was born. The winery was founded in Niagara-on-the-Lake with the planting of a 60-acre vineyard – Canada’s first dedicated exclusively to the European grape varieties that make the finest wines. Paul also believes in being a custodian of the land on which his vines were planted. He is still dedicated to the promotion of sustainable agricultural practices in order to produce exceptional quality grapes now and for generations to come. In 1994, Château des Charmes opened its new state-of-the-art winery and visitor centre. It was immediately hailed as an agri-tourism landmark. Paul’s vision of a world-class Niagara wine industry led by high quality estate wines has reached fruition. Paul Bosc contributed to the evolution of Canada’s wine industry by displaying his abilities as an innovator with passion and flair. Throughout his career, he has distinguished himself as a dynamic mentor who shares his knowledge freely with others. In addition to winning hundreds of medals at national and international wine competitions, Paul Bosc has received the following awards for his contributions to our world-class wine industry: 1996 honourary doctorate from Brock University, 1999 recipient of the Order of Ontario, 2003 recipient of the Queen’s Golden Jubilee Medal, 2005 recipient of The Order of Canada and 2006 Niagara-on-the-Lake Citizens of the Year shared with his wife Andrée.